Here is another F4 goodie for Halloween. 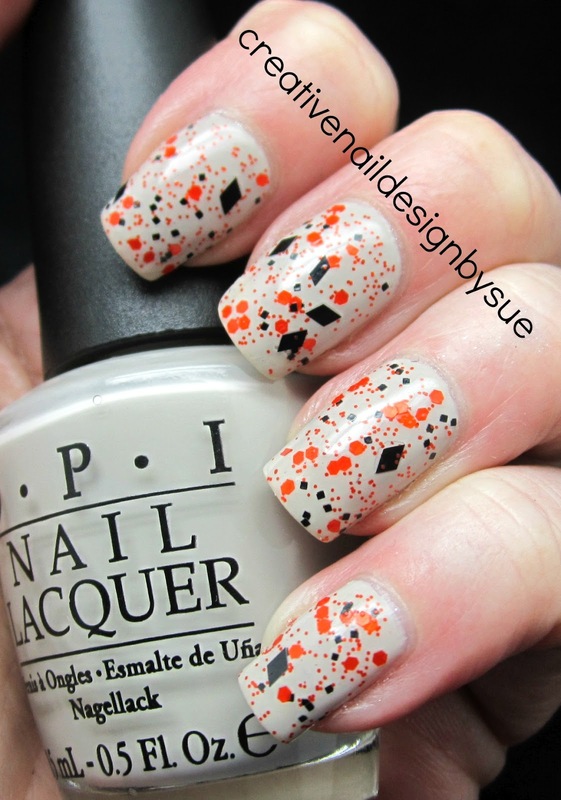 It is called Boo to You and I have layered over two coats of OPI's Skull and Glossbones. This was one coat only of Boo To You. Love F4!!!! Perfect application. What a fun glitter! 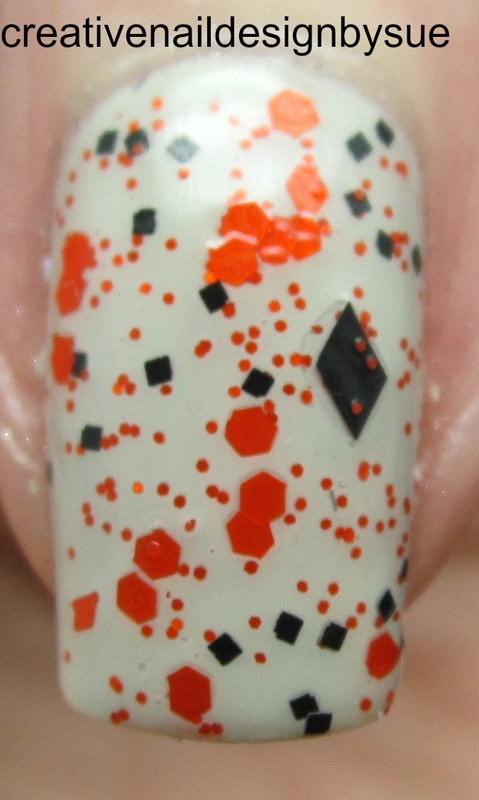 I love all the different glitter shapes. 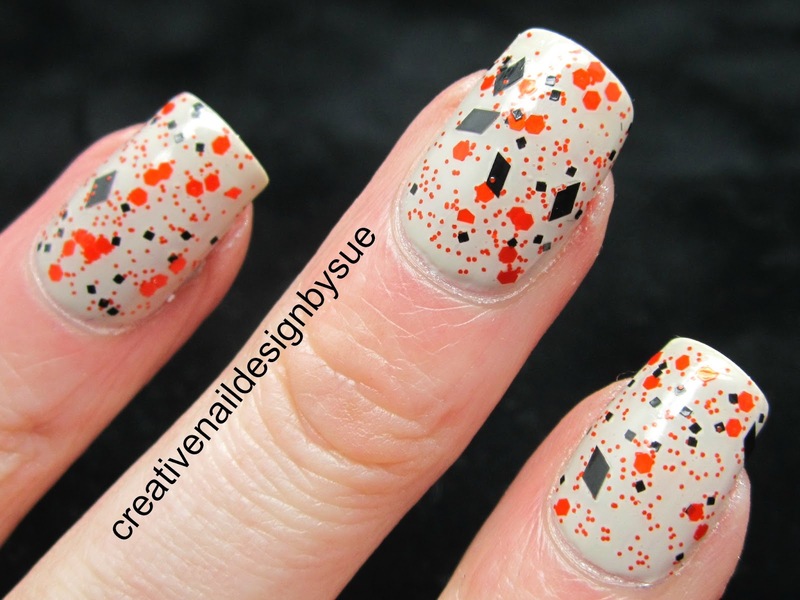 This is a perfect Halloween manicure combination!